We love the idea of transforming your home into a flourishing orchard! The fresh atmosphere that ordinary potted plants create is amplified by the color and dramatic effect of an indoor fruit tree. Natural light, water, and sometimes a little bit of luck is all it takes to have an abundance of fresh fruit at your fingertips. Your new favorite design feature is like bringing the garden indoors; no yard space required. 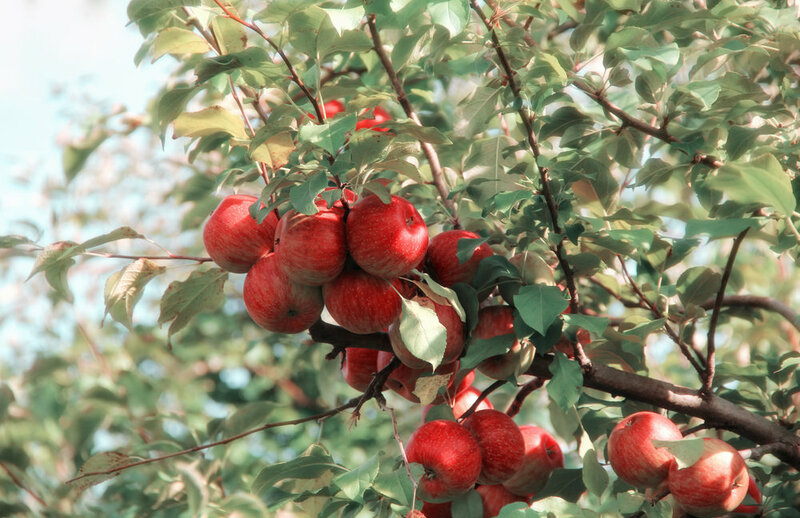 When we think of fruit trees, apples are the first that come to mind. A red apple is striking against green foliage, and can add an exciting level to your everyday arrangement of houseplants. If the thought of vibrant yellow accents has you jumping up and down, then a lemon tree is the perfect addition to your home! 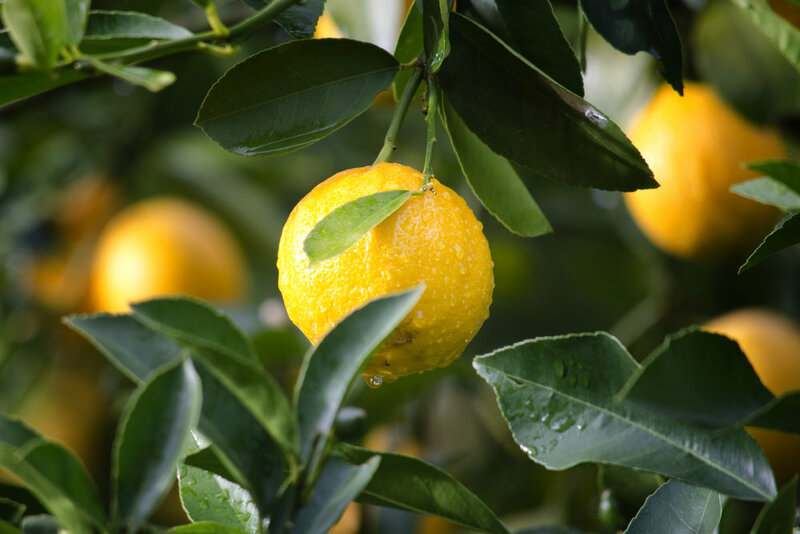 Lemon trees offer the perfect pop of color and stand out beautifully in any room of the house. Contrary to popular opinion (and nursery rhymes), this colorful berry grows on a tree, not a bush. 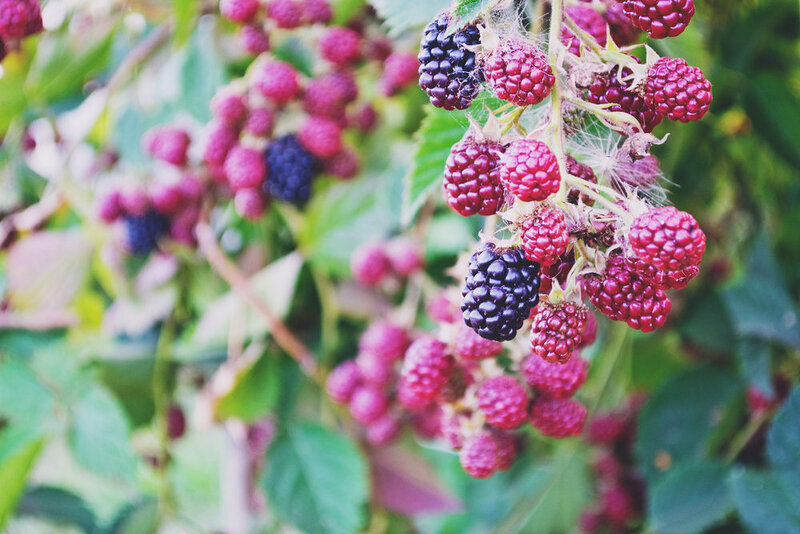 Mulberries turn from a bright red to a deep purple as they ripen, providing beautiful tones for your home throughout their growing season. The vine-like leaves also provide an interesting texture that makes this fruit tree stand out. Even though they aren’t a tree, we had to include strawberry plants because they are so easy to maintain! These plants are perfect for a small windowsill garden, where the natural light will help them grow and put their bright red berries on full display.